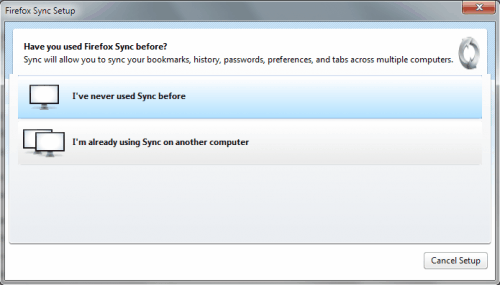 What once was Mozilla Weave Sync is now Firefox Sync. Mozilla changed the name of the synchronization service for the Firefox web browser. No word is out why they changed the name but it is likely that Mozilla Weave Sync was just not descriptive enough whereas Firefox Sync exactly describes what the service is all about. 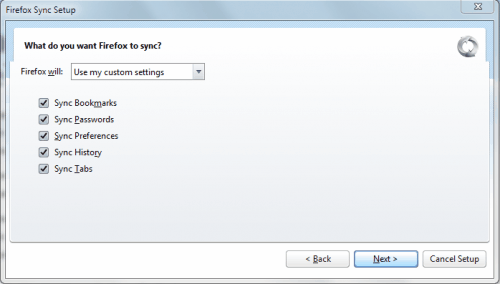 Note: Firefox Sync has been integrated natively in the Firefox web browser. Mozilla launched it as an add-on initially, but it is now available without extra installation of any kind. Load the page about:preferences#sync in the address bar. This opens the Sync page of the Firefox preferences. You can either create a new Firefox Account on the page, or sign in to an existing one. 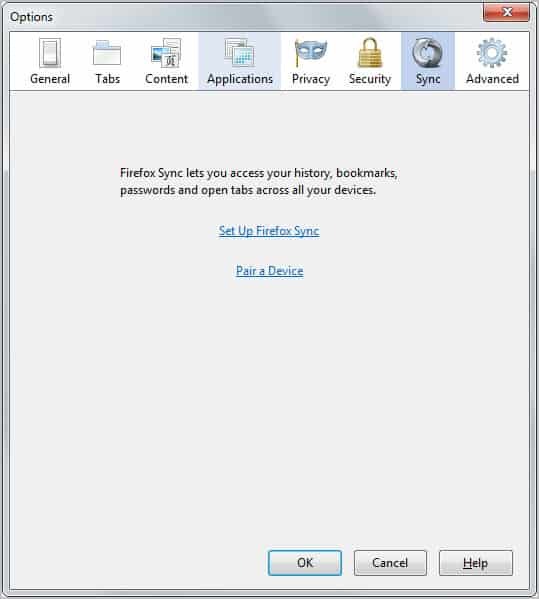 A Firefox Account is required for Sync functionality. Once you have signed in or created the account, you may select which bits of data you want synchronized: bookmarks, history, tabs, passwords, add-ons, and preferences are selected automatically and you may add addresses and credit cards to the data. It is probably a good idea to rename the Device as well for easier identification. You do so on the Sync preferences page. Just type a new name for the device, e.g. Main Work PC and confirm the change with a click on the "change device name" button. 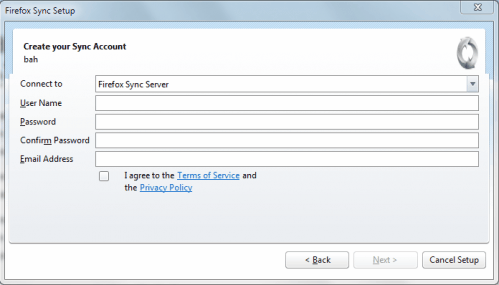 Open the Sync page on any other Firefox instance or device you use, and select the Sign in option. Use the same account, so that data is synced between these Firefox profiles or devices. You can modify the sync data on any device individually; if you don't require some data on a device, simply uncheck the option on the Sync preferences page to disable it. You can enable two-factor authentication for the Firefox account to add another layer of protection to it. Note that you can manage your Firefox account online as well. You can use the online dashboard to delete the account entirely or disconnect some of the devices that sync data with the account. Update: Mozilla has integrated Firefox Sync into recent versions of the Firefox web browser. 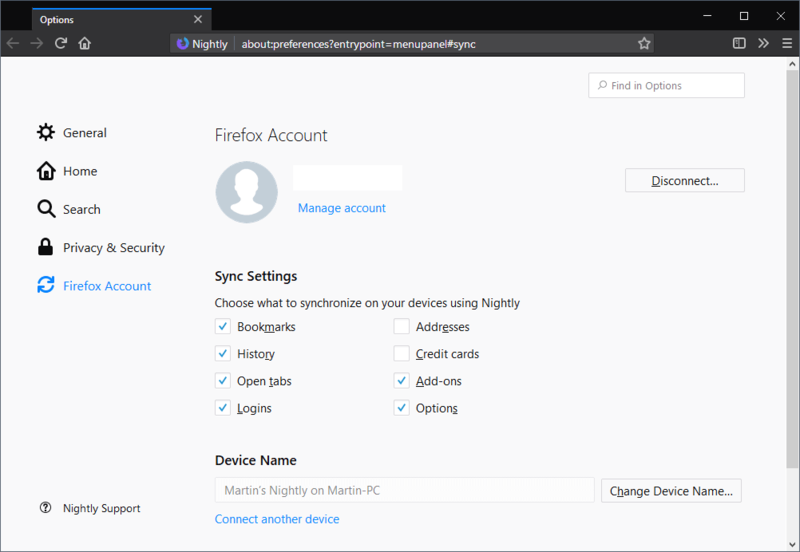 Users can now configure data synchronization in Firefox with a click on Tools > Options in the Firefox menu, and the selection of the Sync tab in the Options window. It is necessary to create an account before data can be synchronized between different versions of the Firefox web browser. Once setup, it is possible to sync data such as bookmarks, passwords and soon add-ons with Firefox running on other devices. 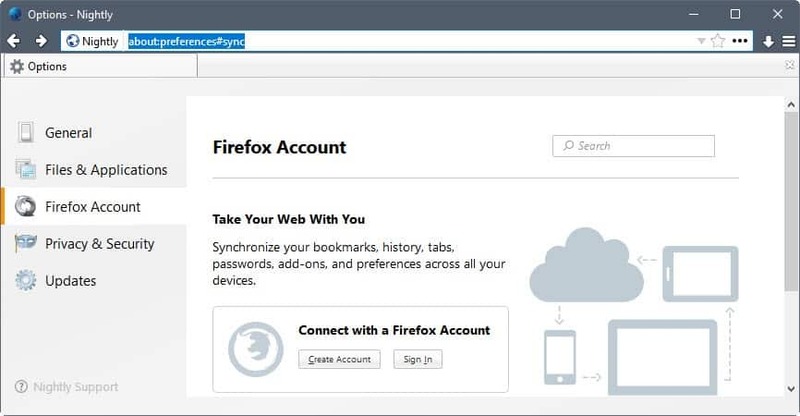 Firefox Sync is the official data synchronization feature of the Firefox browser to sync data such as tabs, passwords, or the browsing history across devices. I had to KILL my gmail address. ID stolen. So I still have a gmail address but many many programs use my old defunct address. As you can see i amforced to use it sometimes, but password resets are impossible, They keep sending new passsword data to non existant address.